All our paintings are 100% hand painted by our artists from sketch to finish, step by step. This handmade modern canvas wall art are very popular in decoration market. Winpeak Art is one of the largest online suppliers of hand painted abstract oil painting on canvas. We provide hand painted modern decoration oil painting, modern painting, abstract painting, flower painting, landscape painting, buddha painting, seascape painting, beach painting, portrait painting etc. and Painted abstract oil painting on canvas by our professional artists. This is handmade artwork, it is not a canvas print. 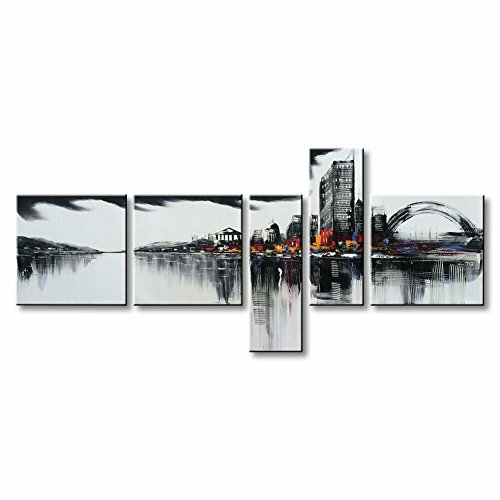 This modern canvas wall art are suitable for living room, bedroom, kitchen, office, Hotel, dining room, bathroom, bar etc. Gallery Wrapped and Stretched on fir wooden stetcher, FRAMED - Ready to hang!